On Thanksgiving, 1976, at Winterland in San Francisco, the Band gave its final concert: The Last Waltz. The group was in top form, playing all of their best songs from their multi-decade lifespan with their best friends and influences there to help them. 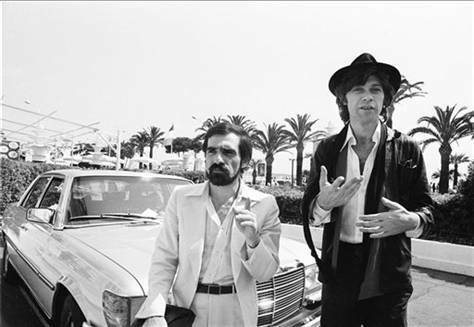 From early mentors and collaborators like Ronnie Hawkins and Bob Dylan to Canadians Joni Mitchell and Neil Young to bluesmen Muddy Waters and Eric Clapton to songsmiths Neil Diamond and Van Morrison and many more, this was a one-of-a-kind event, captured and beautifully preserved by Martin Scorsese. A true landmark, both in the worlds of music and cinematography, The Last Waltz has been a part of my Thanksgiving observation for years now, and I would like you to take it in with me. This entry was posted in ALDLAND and tagged bob dylan, eric clapton, joni mitchell, martin scorsese, movies, muddy waters, music, neil diamond, neil young, ronnie hawkins, thanksgiving, the band, van morrison by AD. Bookmark the permalink. Since we forgot to do so last year, can we make sure to synchronize start times?